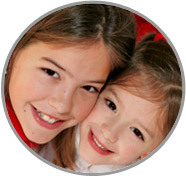 Hiring a Queens Live In Nanny from ABC Nanny Source can help keep any household running smoothly. Your family can be sure that Maria will always be there for your children as a truly dedicated Queens Live In Nanny! "I am warm, friendly, loving, patient, loyal, hardworking, and reliable. I am a nanny because I enjoy working with children and helping others. If I was asked to describe in one sentence the reason I have chosen to be in the Nanny profession over any other it would have to be because I wanted to make a difference in the lives of children. I have been serving in some form of childcare experience for over 13 years and can honestly say that I love what I do! I feel the children are wonderful, fun, and challenging. Life is certainly never dull with children! All children deserve all the love and understanding we can provide. My goal as a Nanny is to support the family and give the children the best care possible. I am willing to do light housekeeping that includes preparing meals for the children, cleaning their bedrooms, and tidying up the home. If I had to describe myself in five adjectives I would say that I am patient, loyal, reliable, dependable, and loving. Activities that I would like to incorporate in the daily plan for the family I care for would include outdoor time (weather permitting), arts and crafts activities, reading, writing, music and dance, and indoor play such as board games. If asked to describe the perfect family seeking a nanny like me I would hope they would be warm, humble, down to earth, friendly, patient, understanding, accepting and kind." "Maria works well with children of all ages and is the best Queens Live In Nanny I have ever known. She is very professional and dedicated to her job. I enjoyed working with her. I had the opportunity to work with Maria and conduct evaluations on her performance. Maria is wonderful with children. She is reliable and easy to get along with." 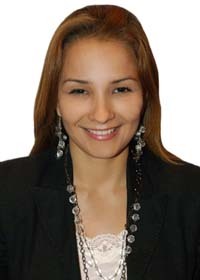 "Maria came to us with a Bachelor Degree in education along with 12 years of experience in the classroom. Maria was a very dependable person and always had a pleasant personality with parents and children. She was exceptionally good at planning and implementing activity plans. Maria was quite detail oriented and has a true love for children! I highly recommend her." "I have been friends with Maria for two years. I find her to be a person with great integrity with unwavering reliability and personal values. I have seen her interactions with children and she is always very warm and caring. She is a supportive, deeply loyal friend, and I have a very strong level of trust in her. I think she would make a wonderful nanny!"